Here I am! I have some great dishes to share so let me get right to it. First up is Skinnytaste’s Skinny Italian Turkey Meatballs. I made my life easy and made the meatballs in advance so that I only had to pull together the sauce on a weeknight and throw them in to cook. It worked out great. Super easy AND super tasty. And get this: 4 meatballs with sauce is only 5 points. I added a salad and used Skinnytaste’s Low-Fat Buttermilk Dressing, which has only ONE point for 1/4 of a cup. I added some feta to the salad, so you know, add a point or two for that. It was worth it! I also accidentally added a small slice of french bread. I mean, did you really think I could resist that? Um, no. Here’s a little secret about me: In high school, I worked at Blimpie Subs & Salads. For years. During that time, I perfected many things as a sandwich artist (yes, that’s what I used on a resume at one time). 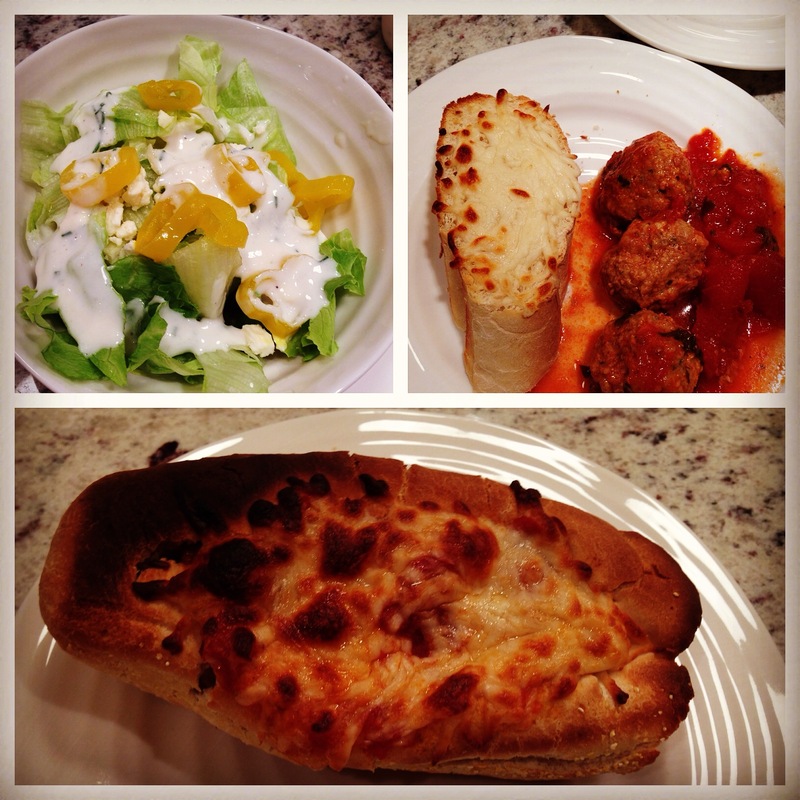 Of the many things I learned, I can honestly say with confidence that I make a MEAN pita and a MEAN Meatball sandwich. Just ask my husband because you can see the awesome meatball sandwich I made for him pictured below (just ignore the extra toasted part on the left, mmmmk?). You can imagine me watching him eat it while I nibbled on my little piece of bread. I’m not bitter. 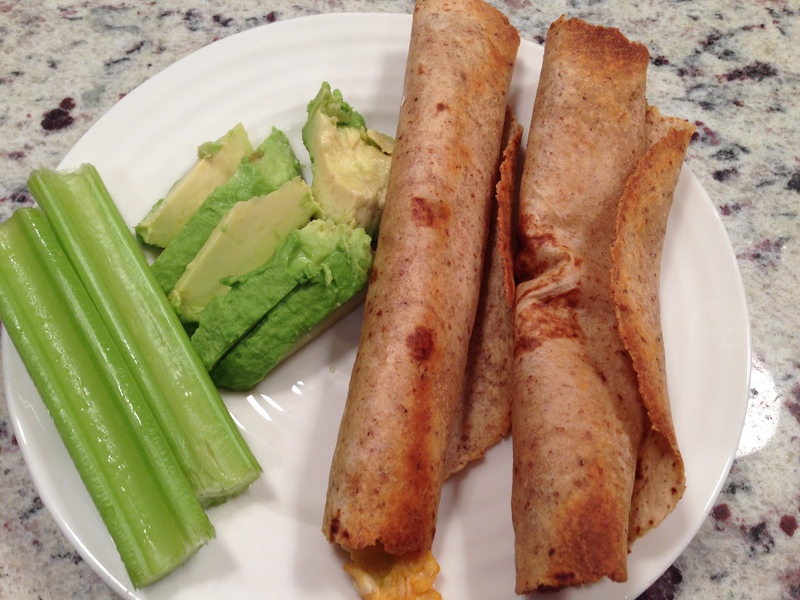 Next up is LaaLoosh’s Baked Buffalo Chicken Taquitos. I made these tonight and thought it worked great. I have a few caveats though: 1) I used canned chicken. That’s right. You heard me. I opened up the cans with complete confidence and have NO regrets. 2) I also used La Tortilla Factory’s whole wheat flour tortillas as she suggested, but found they got kind of tough in the oven. Perhaps I left them in too long or didn’t roll them as tight as I should have, so just throwing some caution your way 3) I also didn’t have any butter, so I substituted canola oil. Total points for 2 Taquitos = 6. 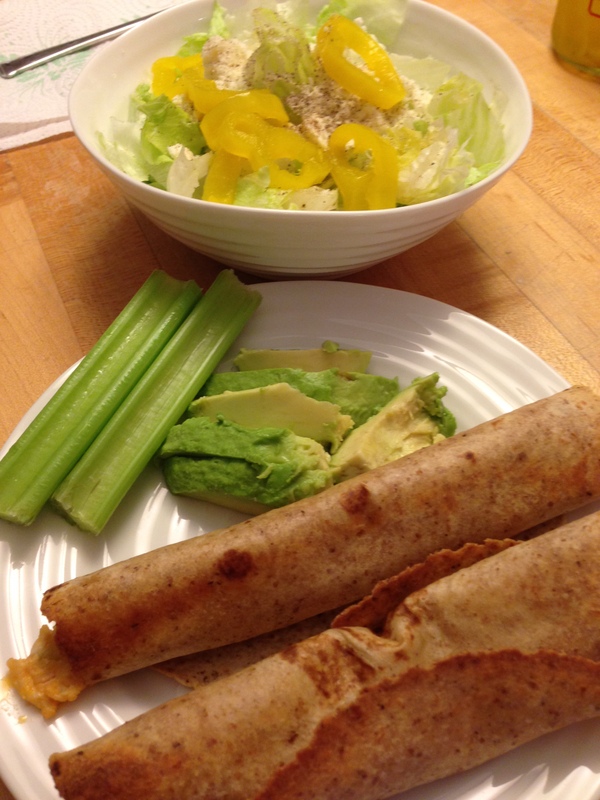 As always, I added a salad with the 1-pt low fat Buttermilk Ranch Dressing I mentioned earlier. I also included 1/2 an avocado. So there we have it. Two really good options for all of you Weight Watchers folks AND for those of you not on Weight Watchers. Hope y’all are having a great week! Anything with butter and cream cheese sigh me up!!!!! Yes! ha, I meant SIGN, but butter and cream cheese actually makes me ‘sigh’. Ok?! You are cracking me up, Laronica!